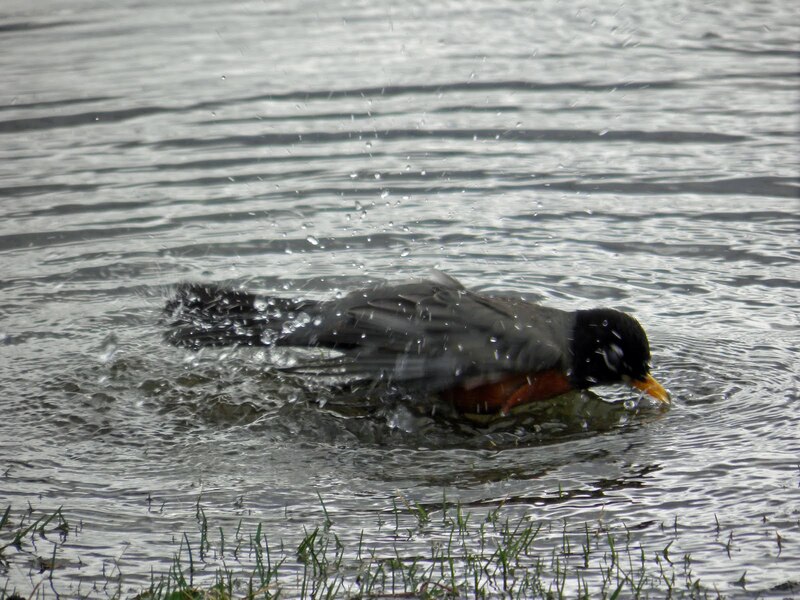 Most people will admit that the enjoyment of a bath can't be beat. 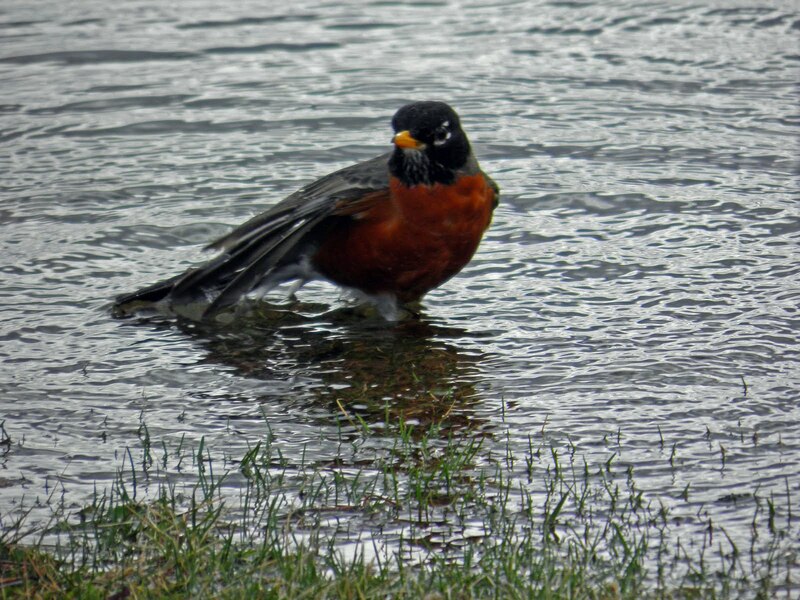 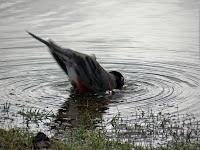 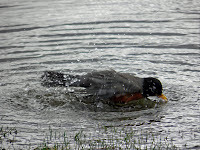 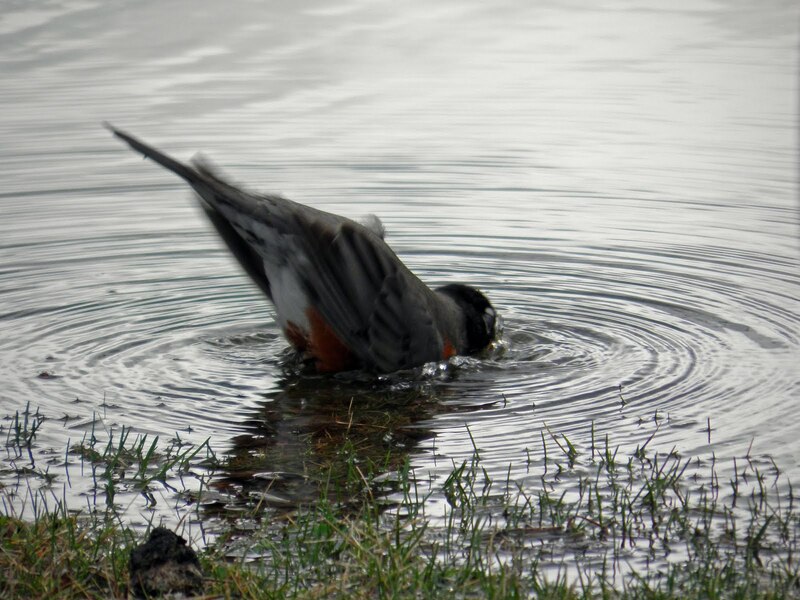 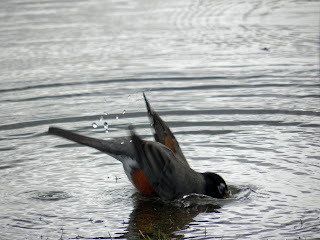 This American Robin wasn't perturbed by the high water at Rieck's Lake in Alma, Wisconsin ... he jumped right in and got on with the fun. The American Robin is a member of the Bluebird and Thrush family. 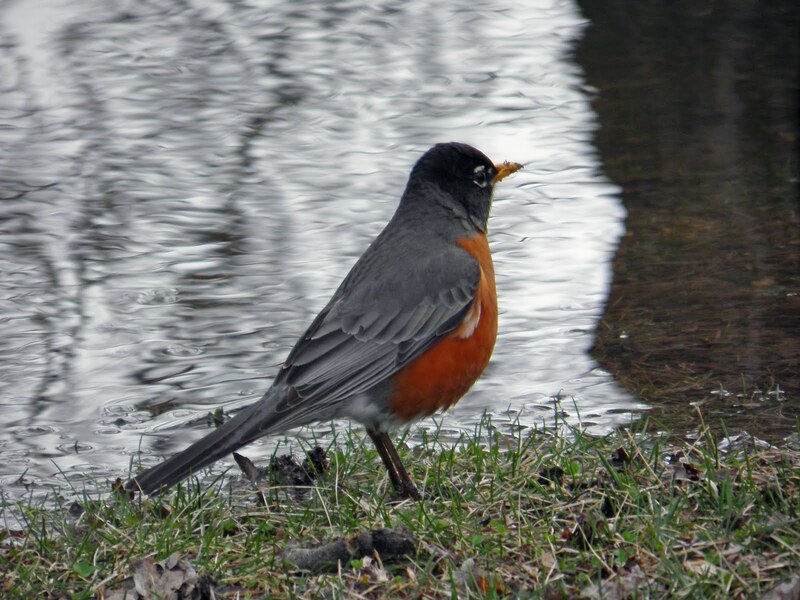 It's called the "American" robin because it was named after a similar (though smaller) bird found in Great Britain.